Summary: Researchers link a gene that encodes a serotonin transporter to social phobia. Study by the University of Bonn supports link with the messenger serotonin. People with social anxiety avoid situations in which they are exposed to judgment by others. Those affected also lead a withdrawn life and maintain contact above all on the Internet. Around one in ten people is affected by this anxiety disorder over the course of their life. 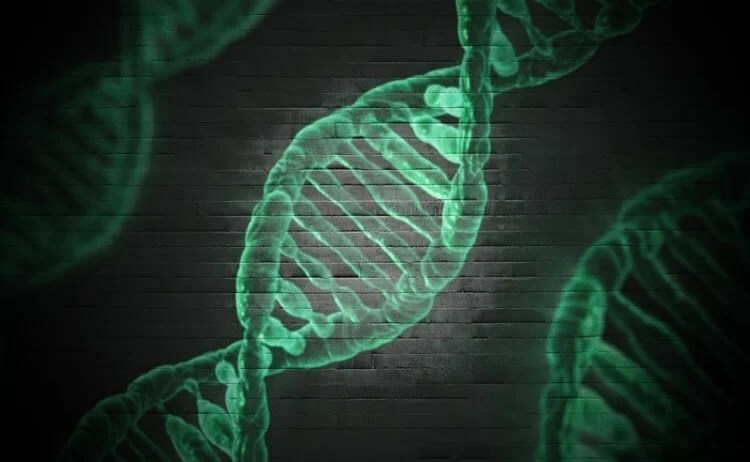 Researchers at the University of Bonn have now found evidence for a gene that is believed to be linked to the illness. It encodes a serotonin transporter in the brain. Interestingly, this messenger suppresses feelings of anxiety and depressiveness. The scientists want to investigate this cause more precisely and are thus looking for more study participants. The results will be published in the journal Psychiatric Genetics. Together with the Clinic and Policlinic for Psychosomatic Medicine and Psychotherapy at the University Hospital Bonn, Dr. Forstner is conducting a study into the genetic causes of social phobia. The research team investigated the DNA of a total of 321 patients and compared it with 804 control individuals. The focus of the scientists lay on what are known as single nucleotide polymorphisms (SNPs). “There are variable positions in the DNA that can exist to various degrees in different people,” explains Dr. Forstner. The cause of genetic illnesses often lies in the SNPs. It is estimated that more than thirteen million such changes exist in the human DNA. The scientists investigated a total of 24 SNPs that are suspected in the widest sense of being the cause of social phobias and other mental disorders. “This is the largest association study so far into social phobia,” says associate professor (Privatdozent) Johannes Schumacher from the Institute of Human Genetics at the University of Bonn. Over the course of the study, scientists at the Clinic and Policlinic for Psychosomatic Medicine and Psychotherapy at the University Hospital Bonn will ask the patients about their symptoms and the severity of their social phobia. Their DNA is also examined using a blood sample. Whether there is a link between the signs of the illness and the genes is being investigated by the scientists using statistical methods. The evaluation of the previously collected data indicated that an SNP in the serotonin transporter gene SLC6A4 is involved in the development of social phobia. The cause of genetic illnesses often lies in the SNPs. It is estimated that more than thirteen million such changes exist in the human DNA. NeuroscienceNews.com image is for illustrative purposes only. This gene encodes a mechanism in the brain that is involved in transporting the important messenger serotonin. This substance suppresses, among other things, feelings of fear and depressive moods. “The result substantiates indications from previous studies that serotonin plays an important role in social phobia,” says associate professor (Privatdozent) Dr. Rupert Conrad from the Clinic and Policlinic for Psychosomatic Medicine and Psychotherapy. Medications that block serotonin reuptake and increase the concentration of the messenger in the tissue fluid in the brain have already long been used to treat anxiety disorders and depression. The scientists now want to investigate more closely what the links are between the DNA and social phobia. “In order to achieve this goal, we need many more study participants who suffer from social anxiety,” says the psychologist and study coordinator Stefanie Rambau from the Clinic and Policlinic for Psychosomatic Medicine and Psychotherapy at University Hospital Bonn. Information about the study is available at http://www.SocialPhobiaResearch.de. “Those who take part will help to research social phobia. This is the basis of better diagnosis and treatment procedures in the future,” says Stefanie Rambau. University of Bonn “Indication of a Genetic Cause of Social Phobia.” NeuroscienceNews. NeuroscienceNews, 4 March 2017. University of Bonn “Indication of a Genetic Cause of Social Phobia.” http://neurosciencenews.com/neurotheology, epilepsy-religion-6214/ (accessed March 4, 2017). Social anxiety disorder (SAD) is a common and heritable psychiatric disorder. However, genetic studies in SAD are rare and only a few candidate genes have been implicated so far. In the present study, we investigated whether single-nucleotide polymorphisms (SNPs) associated with other psychiatric disorders also contribute toward the development of SAD and followed up variants associated with SAD on the phenotypic level. We genotyped a total of 24 SNPs in a German sample of 321 SAD patients and 804 controls. We carried out single-marker analyses as well as quantitative association analyses of SAD severity and harm avoidance. None of the variants investigated showed an association with SAD in our case-control sample after Bonferroni correction. Two SNPs reached nominal significance (rs818702, P=0.032; rs140701, P=0.048). Of these, only rs140701 showed an association in the same allelic direction as reported previously. This SNP is located within the serotonin transporter gene SLC6A4, which is the primary target of selective-serotonin reuptake inhibitors used for the treatment of depressive and anxiety disorders. The quantitative association analysis of all cases with available data on symptom severity showed four SNPs with a nominal significant association. Among these SNPs, rs10994359 showed the strongest association (P=0.001) and was located near the ANK3 gene. In addition, rs10994359 was nominally associated with harm avoidance scores (P=0.001). Our results provide further evidence for an involvement of the serotonin transporter gene SLC6A4 in the etiology of anxiety-related traits. Furthermore, our study implicates that genetic variation at the genome-wide associated bipolar disorder locus ANK3 might influence anxiety-related personality traits.